Tasting review by Campagnere Cognac: Nose: Aromas of cigar box, prunes, toasted almonds, and coconut Palate: Smooth, subtle, yet robust, and rich. A wonderful length of finish. Part of the house of Tessendier, Campagnere Cognac has roots that can be traced back as far as the 11th century! In a time of Lords, Dukes, and Counts, one Laetitia Maingot - daughter of the Vicomte Alexis Maingot - married Pierre Tessendier, and the beginnings of the Cognac expertise that we know today was unified. Time moved at its slow pace, and in the year 1862, Gaston Tessendier acquired the last plot of precious vineyards that today make up the hectares that produce the precious eaux-de-vie that goes into the Cognacs of Campagnere. Gaston worked tirelessly in the vineyards, eventually becoming director of the estate. His knowledge and knowhow has been passed down through four generations of Tessendiers, and today Jerome and Lilian Tessendier continue to work with the same drive and passion of their forefathers. Today the house combines tradition and history with an innovative, scientific approach. 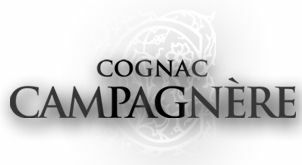 This happy marriage of old and new has resulted in an inimitable and unique approach towards the creation of Cognac. The ethos behind the creations is that Campagnere Cognacs stand for the values of the family estate, using eaux-de-vie from carefully selected terrors that ends with products that are both unique and incredibly aromatic. Campagnere Cognac is all about quality, not quantity. They produce a small, select range, each one embodying the very essence of its age range and quality. They also produce a delightful single cask Cognac in addition to the regular VS through to XO qualities. There is currently no information about visiting Tessendier & Fils or Campagnere Cognac. If you wish to visit, it's recommended that you enquire in advance.